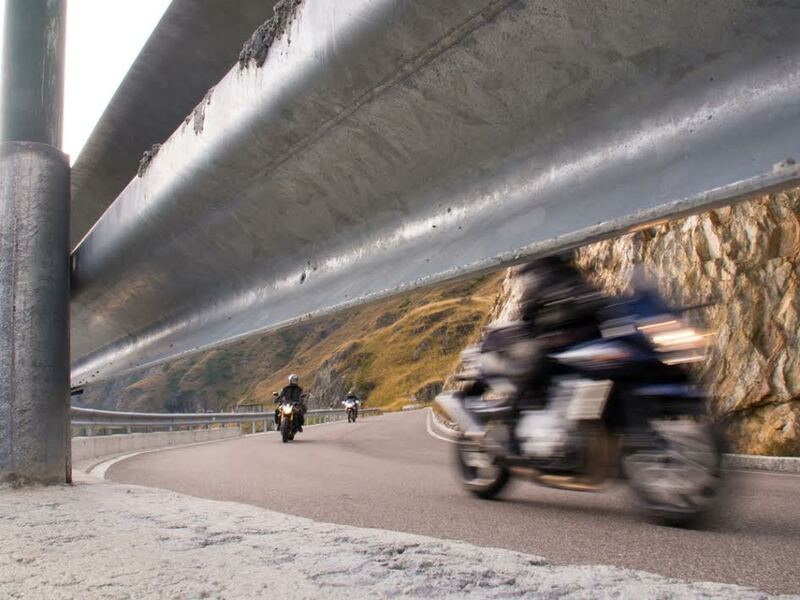 Motorcyclists Riding the Shoulder Place Everyone at Risk | Johnson & Gilbert, P. A. Road shoulders are designated safe places for vehicles to pull off in case of an emergency, and provide a clear path for emergency vehicles to bypass traffic congestion. They are not meant to provide people in a hurry or frustrated motorcyclists a means to cut ahead in line. Just because a motorcyclist can get around a traffic buildup doesn’t mean he's legally allowed to do so. Bikers are required to follow many of the same rules of the road as vehicle motorists, with a couple of exceptions. In many states, motorcyclists can share a lane with each other as long as they're staggered in formation. Also, some states, such as California, allow for a motorcyclist to ride between lanes of traffic, but this is illegal in Florida. Currently, riding the shoulder or in a bicycle lane is illegal throughout the U.S., and can result in a moving violation with a fine ranging between $25 and $150. Riding on the shoulder laws may change in the future. A few states, such as Georgia, are adopting "flex shoulder lanes" in some areas with high congestion, which permit both motorists and bikers rush hour use of shoulder lanes at reduced speeds. Getting trapped on the shoulder. When a cyclist leaves the shoulder to approach the front of the line and merge into traffic, other frustrated drivers attempt to block his entry. This may result in reckless behavior from a motorist and the motorcyclist if he tries to force a way back into traffic, or create more possibility for anger if he remains stuck on the shoulder. Delaying an emergency vehicle. Occasionally, pedestrians are on the shoulder as they pull off for repairs or emergencies. Unfortunately, nearly 12 percent of highway injuries are caused by cars hitting these pedestrians as they barrel down the shoulder to get ahead of the traffic. If a motorcyclist is on the shoulder when an emergency vehicle tries to get by, he can be prosecuted for obstruction. Furthermore, he can be held responsible if the accident victim suffers additional injury because of delay in emergency treatment. Colliding with other vehicles. Motorcyclists have an increased risk of colliding into other vehicles if those drivers decide to take to the shoulder as well, especially since the motorcycle is already in a driver's blind spot. Since neither the motorcycle nor the other car should be there, neither one will expect or be prepared for a potential collision. Also keep in mind that a passenger opening a vehicle door may endanger a rider. Debris in the shoulder. Experienced riders caution new bikers about the hazards of riding on the shoulder because of trash, vehicle parts, potholes, broken guard rails, and other obstructions. A flat tire is a minor consequence, but the lack of ability to maneuver safely around obstacles is the greater concern. When you or a loved one is injured as a result of a motorcyclist’s negligent use of the shoulder, you may be entitled to compensation. Contact our office today at (386) 673-4412 to schedule a free consultation to discuss and evaluate your claim’s validity and rightful entitlement. Also, feel free to share your experiences, thoughts, and concerns in the comment section provided on this page. We're eager to learn more about how our future clients feel about illegal shoulder use and risks. Florida Motorcycle Crashes: Who's to Blame?